Stop using emails for marketing if you’re not willing to commit to using Best Practices and a consistent, frequent, and well crafted program. Email marketing works. In fact, email marketing is 40 times more effective at acquiring new customers than social media and traditional forms of media including print and shows. 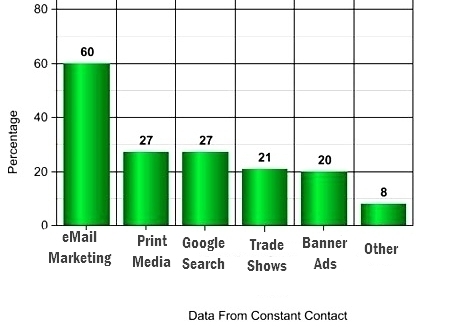 33% of email recipients open email based on subject line. Subject line is basically what your readers will first see. It needs to be catchy, and at the same time, in line with your real message, because your real goal is not just to have your email opened, but to make your readers engage with you. The best email subject lines are short, descriptive, and provide readers with a reason to explore message further. Keep it simple and to the point. Email your customer list and ask them for their needs, views, and opinions. This will help you come up with great future emails and will also serve as a guide for you to improve your marketing strategies.